How will I know if you’ve received my cannabis seeds? When you place an order with Royal Queen Seeds online, the order is automatically saved to our database. You will receive a conformation email summarising the cannabis seeds contained in your order. If you don’t receive this email, please make sure it hasn’t been send to your Spam or Unsolicited Email folders. You can log in to our website at any time to check your account and your orders; you’ll always find your order’s current status. As soon as your order is posted, you’ll receive a notification email and the order status will be updated in your account. Cancelling an order is not a problem. If you haven’t yet paid, there’s no need even to let us know: after a certain number of days, an order is automatically cancelled due to non-payment. If you have already paid, the order can be cancelled only if it hasn’t yet been posted. Check its current status in your account to see if you can still cancel. Can I change the address for my order or have it posted to a different address? You can change your address from your account on the website; you can also have your order posted to a friend or acquaintance, simply by telling us during the order process. How much are postage and insurance rates? No matter how many seeds you order, all orders are delivered free of charge and in anonymous packages worldwide. It’s a simple dispatch in an envelope or postal parcel. These orders are non-traceable and potential non-receipt of order is at your own risk. What name will appear on my bank statement? Privacy is key for Royal Queen Seeds. Our name will never appear on your bank yuor credit card statement, so no one will know you’ve purchased cannabis seeds. We treat your personal data with utmost caution and never give them out to third parties. How will my order be posted? All orders are dispatched through private courier express service. The cannabis seeds are packed in bubble wrap in a sturdy envelope. The package shows no sign of its content; all that appears is your name and a return address that isn’t Royal Queen Seeds’ address. For further information, please consult our deliveries information page. Are your products legal in my country? We cannot provide any information about the legal status of our products in your country. It is the customer responsibility to research the local laws and regulations before placing and order. Royal Queen Seeds will decline any responsibility if a your parcel is intercepted by any customs department. Follow the instructions on the payment page. An account is required to place an order, if you are not registered click here to complete this step. Yes, a minimum purchase of 15 € (incl. VAT) is required to place an order. 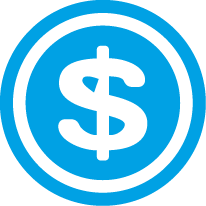 We process all the orders within one business day after the payment is accepted. Once the order is already in preparation it is not possible to modify it. If you need to change your order please contact our Support department as soon as possible. Our team will try to accommodate your requests however it cannot be guaranteed. Can I duplicate a previous order? Definitely! Go to your "Order History" by accessing "My account" and click on the “Reorder” button next to the order that you would like to duplicate. 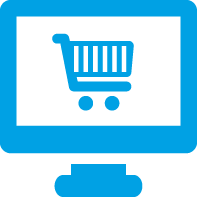 At this stage you can add more products, change the payment method or go straight to checkout. Depending on the status of your parcel, there are 2 different ways to cancel an order depending on whether it has been shipped or it is still in preparation. What name will be shown in my credit card/bank statement? How to pay using Credit Card? You can pay for your order by card. Simply enter your card number, your card's expiry date and your 3-digit security code as it is listed on the back of your card. Credit card payments can take up to 24 hours to be processed. Once the payment has cleared, we will start processing your order. Please note that we are unable to process prepaid credit cards. How to pay using Bank Transfer? Choose Bank Transfer as a payment method to confirm your order and the RQS bank details will be shown on the screen. Please make sure that you use your order number as a payment reference otherwise we might not be able to link the payment to your purchase. Bank transfers normally take between 3 and 7 business days to be completed. How to pay using Bitcoin? We also accept Bitcoin as payment method. Please follow the instructions in the link below to use this option. At this moment, we do not accept payments from your Paypal account. PayPal's policy towards the products that we sell prevents them from offering their payment method in our webshop. However, we are confident that we have a payment option available that suits you. We regret we cannot accept cheques of any kind. Can I pay using money orders? We do no accept money orders. Sorry, we currently do not offer an option to pay for your order upon delivery of your parcel. We have a range of different bulk options available on our Bulk Seeds Page. Can I get a discount voucher? There are a couple of things you can do to have a discount voucher. Your discount vouchers will be accessible via the My Vouchers on your RQS Account. Please note, % discount vouchers are not cumulative between them (you will only be able to use one at a time), but you can use them together with cash vouchers – vouchers with a set amount of money credited in them. How discrete is your packaging? We send our orders in plain boxes without stickers or any reference to our products or our company. The only information in the box would be the delivery details. However, if you still want more discretion, we also offer a DVD Stealth Shipping option for 5€. Please click here for more shipping information. Austria, Belgium, Bulgaria, Chile, Croatia, Cyprus, Czech Republic, Denmark, Estonia, Finland, France, Germany, Greece, Hungary, Ireland, Italy, Latvia, Lithuania, Luxemburg, Malta, Monaco, Netherlands, Poland, Portugal, Romania, San Marino, Slovakia, Slovenia, Spain, Sweden, United Kingdom. We do not ship to any country not shown in the above list. Standard Shipping is free to all countries. However, we offer a DVD Stealth Shipping for 5€, you can have your parcel wrapped in stealth packaging DVD case for a total discreet delivery. Also we offer a UPS Standard service. Delivery times and cost are different depending on the country. You will see this information once you select this shipping method at the check out screen. Please note that we do not offer this service for Malta, Croatia and Bulgaria. With Stealth Shipping, your seeds will be delivered in their original packaging, hidden in the leaflet of a DVD case that has been sealed for maximum security. There is no promotional material inside, no invoice or references to Royal Queen Seeds. The included DVD will be a random B-movie. We charge an extra €5 fee for this special shipping service. Do you send to P.O. Box addresses? We only ship to private, real addresses. We do not ship to P.O.Boxes, public places, Packstations, shops, relay points, cargo forward companies and similar addresses. 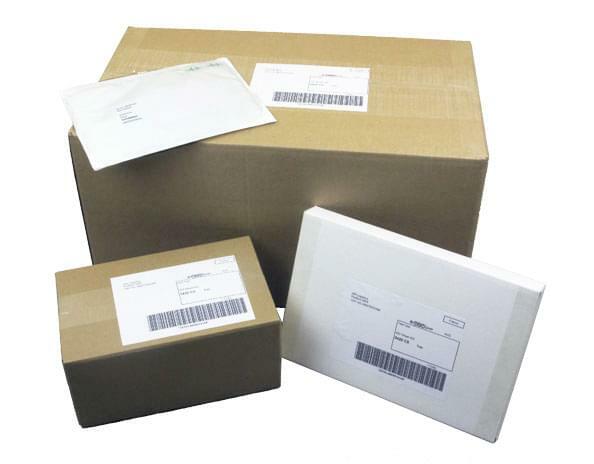 Do you deliver to post offices or distribution centres? No, it is not possible to ship to either to post offices, distribution centres, cargo forward companies, etc. Yes, you can. To track your parcel, follow the instructions received in the automated email you will receive once your parcel has been dispatched. After this email, your tracking will be updated when the parcel reaches the country of destination. Please note that, occasionally, this transaction can take up to 5 business days. Do not be surprised if your order is delivered before you can track it! Our shipping partner sends all of our parcels for us. To offer you the best possible route, they use various postal services. Will my parcel be checked by customs? Your parcel can always be checked by your national customs agency, no matter which shipping method you choose. Please note that, although we may ship to your country, we cannot provide any information about the legal status of our products in your country. Due to the amount of countries that we ship to it is simply impossible for us to keep track of what is legal in what countries. It is your own responsibility to research your local laws and regulations before ordering with us. Please be aware that we cannot be held responsible if your parcel is stopped by customs. Most orders are sent within 24 hours of receiving payment. 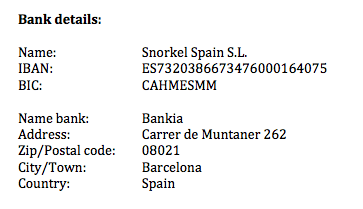 We ship from Monday to Friday, except during official holidays. If your place an order on a Friday, it is very likely that it will be shipped the following Monday. Most deliveries take between 3 and 5 working days. However, you should allow up to fifteen business days for your parcel to be delivered. Can I redirect my order once it has been shipped? A valid delivery address will be required when placing an order, you can contact us to change the address as long as the order has not been shipped yet. We have no control over a parcel once it has left the warehouse. We cannot be held responsible for any additional costs or non-delivery if incorrect details are provided in order (including but not limited to: Name, Address, Postcode). Your courier will deliver your parcel in hand at your delivery address. In case you are absent and the parcel does not fit through the letterbox you should receive a note with instructions on how to proceed to get your order. If your parcel is returned to our warehouse we will contact you immediately. Please contact our Customer Service if you have not received your parcel within 15 business days after it was shipped. We do everything we can to ensure that the packages have no additional information except your name and delivery address. The packages are plain so as not to draw attention, and we offer a Stealth option for a small extra fee of 5€. Your personal information is needed to send your parcel and to contact you in case a problem should arise. Your details are not shared with a third party or used in any other way. Your personal information is confidential and it will never be shared with any third party. We will use your personal information when processing your orders or in case we need to contact you for any reason. If you would like to delete your account, please contact our customer service team using the contact form below – make sure you have logged into your account first. How do I germinate my seeds? All RQS seeds are individually sealed in a blister to prevent the seeds from air and humidity, and then wrapped in a protective cardboard packet showing the strain name. How can I create my RQS account? Very easily and quick! Just click on Your account on top of our website and then select “Register” and follow the instructions. Your account will be ready in less than 2 minutes. You can update your contact details through the “Personal Information” section of Your Account. Yes, you will need to create an account, Guest Checkout is not an option. Your details are safe, we will never share your date with any third party and are only used to get in touch with you regarding your order and promotions. Stick the Return Label to the parcel and follow the instructions on it. Please, bear in mind that providing a refund may take between 1 and 3 weeks. How do I report a missing item? Contact our Customer Support using the contact form within one week from delivery. Make sure you are logged in and choose the order number that you have received uncomplete. A picture of the parcel showing the content and your order number written on a piece of paper will be required. What if receive a damaged item? Please send us an email or use the contact form at the bottom of this page to get in touch with our Support Team. Please ensure that you are logged into your account and you are referring to the order with damaged items. Our team will ask you to send a picture that clearly shows the damaged item and a piece of paper with the order number. To get in touch, simply fill in the form below. If you are a registered customer, please log in before contacting us. We attempt to answer all questions as quick as possible. Please note that messages can only be answered between Monday and Friday during office hours. If you haven't received a replay after 5 working days please first check your spam folder and then contact us again via the contact form below with your message and stating the date and time of your previous message. At Royal Queen Seeds, we pride ourselves on producing the finest cannabis genetics and top-shelf feminized, autoflowering, and medical marijuana seeds. If you have any questions, this page is designed to help you get them answered. Above you’ll find a database of FAQs about a wide variety of topics, including returns, shipping, our online ordering system, and more. If you can’t find what you’re looking for, please contact us via the form below. Alternatively, feel free to reach out to us via phone.